You want art with that? Amy V. Felker opted for 3-D works likes Migraine for The Miniature Show at Raider Ridge Cafè. 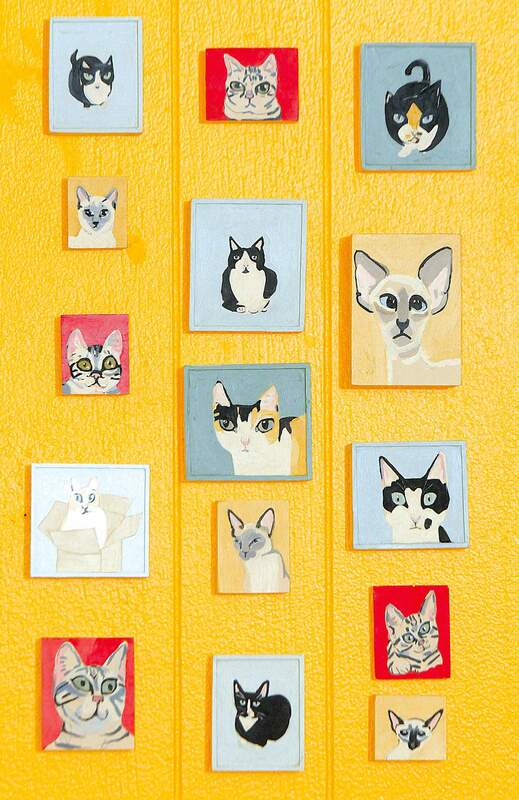 Cats are a favorite subject of Kristen Smith, and she painted 15 feline portraits for The Miniature Show at Raider Ridge Café. For about a year, the Southside Artisans Guild has kept a low profile, tucked away in the corner of a shopping center better known as the home of the 8th Ave. Tavern. But the Raider Ridge Café is not just artist Dan Groths day job and a fine place to grab lunch or a smoothie. 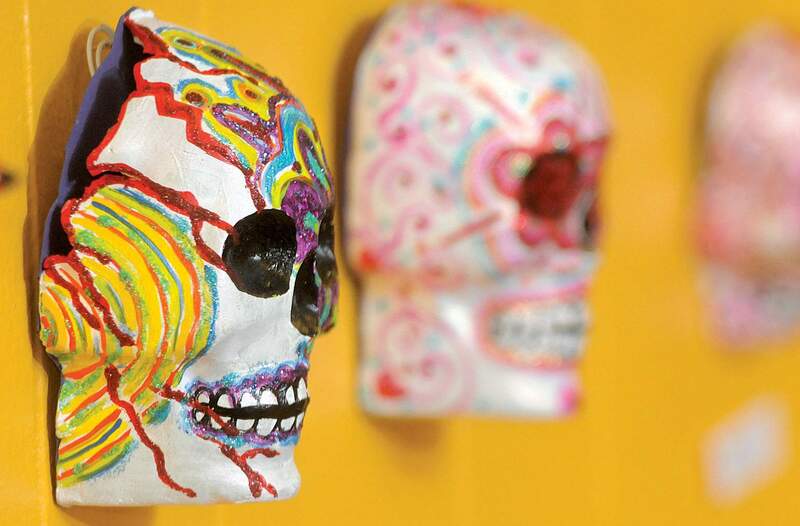 With the blessing of owner Jarrod Regan, Groth has given patrons something to look at while waiting for their food by filling the walls with the works of local artists. The latest exhibit opened Wednesday. Its also the largest show yet, despite the name. The Miniature Show features 18 artists at last count: Amy Vaclav-Felker, Elizabeth Kinahan, Scott Dye, Dan Garner, Jaime Becktel, Kristen Smith, Groth, Tim Kaputska, McCarson Jones, Tirzah Camacho, Shay Lopez, Kamaljit Tunia, Marikay Shellman, Roxie Mitchell, Clint Reid, Kima Wells, Karen Shway and Bethany Bachmann. No piece is larger than 8 inches by 10 inches, and most artists submitted more than one, so there is a lot to look at. We just kept adding to it, and there was no reason to limit it, Groth said. Groth said the next show, in March, will feature art by a group of high-schoolers he has been teaching as a guest instructor. 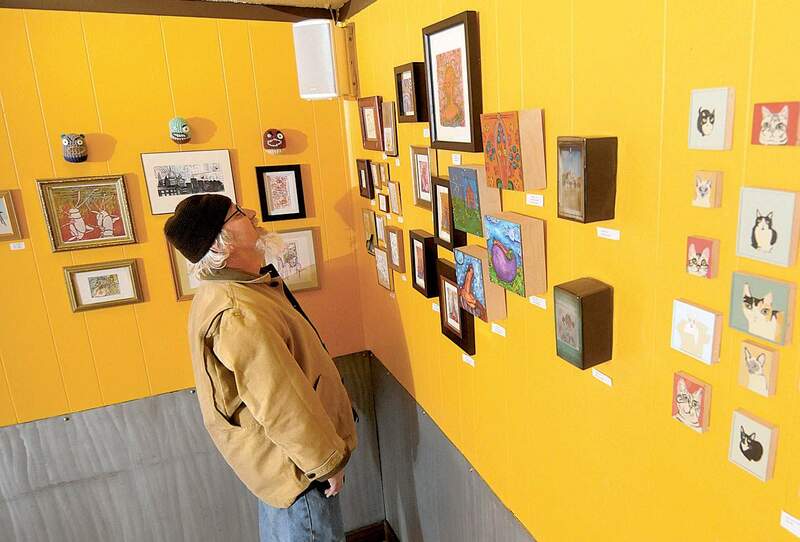 The Southside Artisans Guild will exhibit The Miniature Show through March 13 at Raider Ridge Café, 509 East Eighth Ave. Hours are 7 a.m.-3 p.m. Monday through Saturday and 7 a.m.-2 p.m. Sunday. For more information, call (503) 230-0480.